DropBox Cloud Storage was not build by any big brand, Dropbox started with funding by investors, it tells us how Cloud Computing can make a developer a brand. The person behind DropBox is Andrew W. Houston, with the investment by Y Combinator for a startup company by an entrepreneur in 2007-2008. 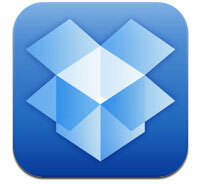 DropBox Cloud Storage itself tells many success stories which will definitely make you interested. The basic story till the 90’s was – some cunning person, who has less to do with academics will create something, make some money, hire developers and will become the giant. It was the average story. The story first broken first by Google. Then gradually various academically sound person started to think in that way. Yes, Google themselves has given the reward to the authors – AdSense. DropBox is a ideal model which any good developer might think to follow to grow their business without really much in wallet. Yes, that way of thought is reflected by many Cloud Computing Startup companies, which are mostly PaaS, uses some other’s IaaS. This Article Has Been Shared 5886 Times! Cite this article as: Abhishek Ghosh, "DropBox Cloud Storage : The Story of Success of a Common Man," in The Customize Windows, December 5, 2012, April 25, 2019, https://thecustomizewindows.com/2012/12/dropbox-cloud-storage-the-story-of-success-of-a-common-man/.